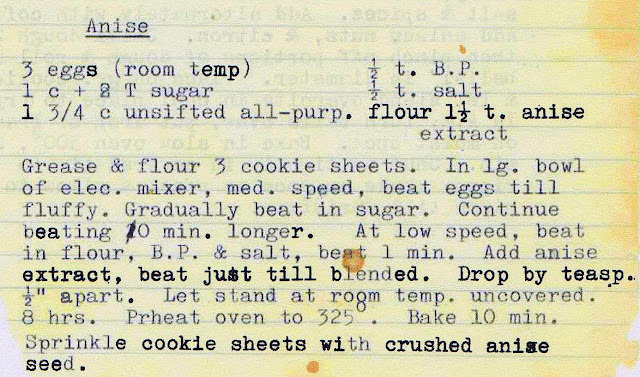 There were so many noteworthy dessert discoveries this year (rescued from the early 20th century, of course), but I managed to whittle the list to a baker's dozen. So, in no particular order, I present the best of 2012. (To get the recipes and more pictures, just click on the recipe names, the ones highlighted in red at the first words in each description.) Here's to a sweet new year. Toll House Cupcakes were the sleeper of the year. 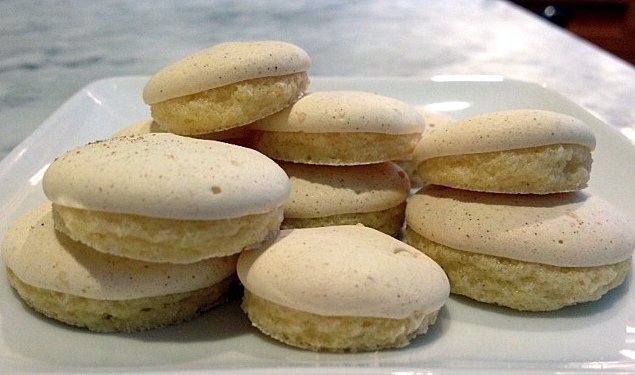 These are so unusual and so delicious, it's hard to imagine that they fell out of favor. Careful, though, as you may create a cadre of addicts. Your friends and family will request them again and again. Lemon Chiffon Pie is so light and ethereal that it's hard to believe that just three simple ingredients -- sugar, eggs and lemons -- are responsible for this masterpiece. 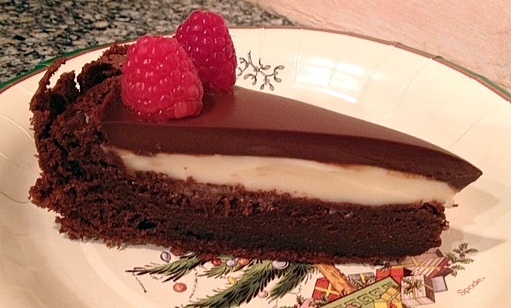 Make chiffon pie part of your new year. 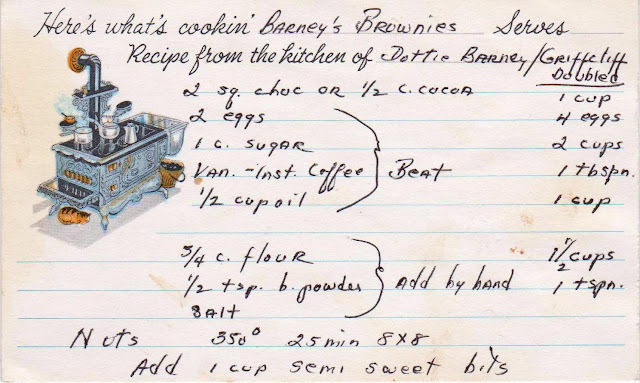 Barney's Brownies can literally be put together in minutes. They will disappear just as quickly, guaranteed. Brownies so delicious, you'll be amazed there's no butter. Elaine's Anise Cookies are perfect at Christmas or any time of year on account of the flavor, the texture and most of all, the perfect little cookie caps that form in the oven. Ritz Cracker Meringue Pie is an unusual dessert that's a mid-century American version of the French dacquoise. You'd think that crackers would form the crust, but no! They're folded into the filling, creating a wonderful new way to experience this salty and buttery cracker. 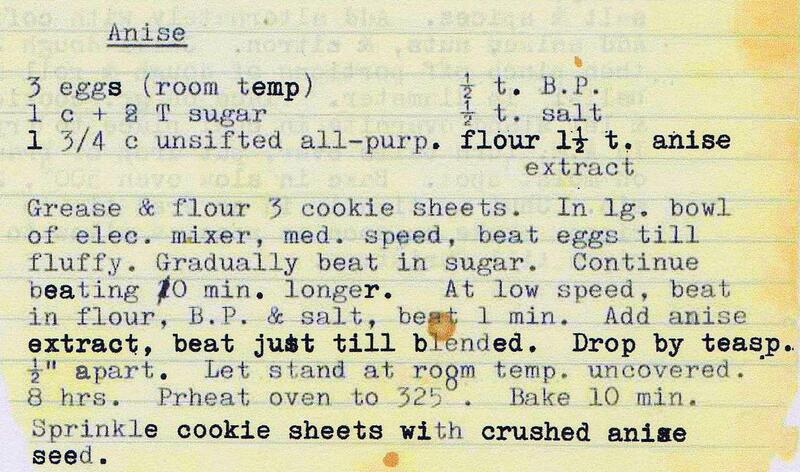 Old Fashioned Molasses Cookies because I know you want one right now with a tall glass of milk. The $28 dollar One-Step Pound Cake, so named because that's how much I paid for a recipe box that contained only one fabulous recipe -- this one. 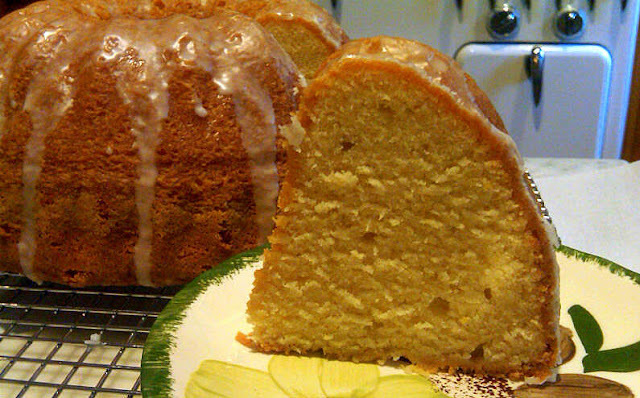 It's easy and everyone should have a delicious pound cake recipe in their repertoire. 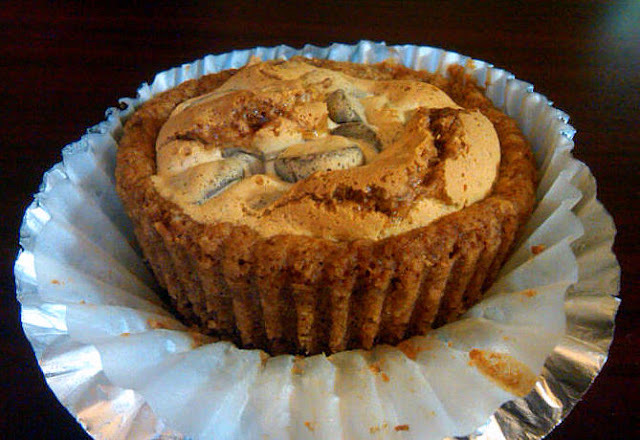 Cinnamon Crunchies were a favorite among co-workers this year, and they are a very discriminating bunch. These three-layer treats are way more than the sum of their parts. 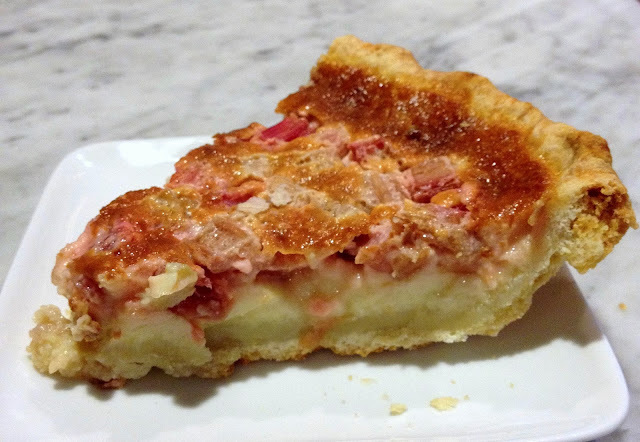 Rhubarb Custard Pie is the perfect way to celebrate spring, no strawberries needed. Plus the pie is even more delicious the next day. Lemon Crunch is a personal favorite, and what happens when a 1950s housewife takes a traditional lemon bar and ramps it up with coconut for the added crunch, a welcome flavor and texture note. Apple Dowdy Cake is a wonderful autumn and winter cake, made extra delicious by the caramel-praline glaze. Plus, what a great name! 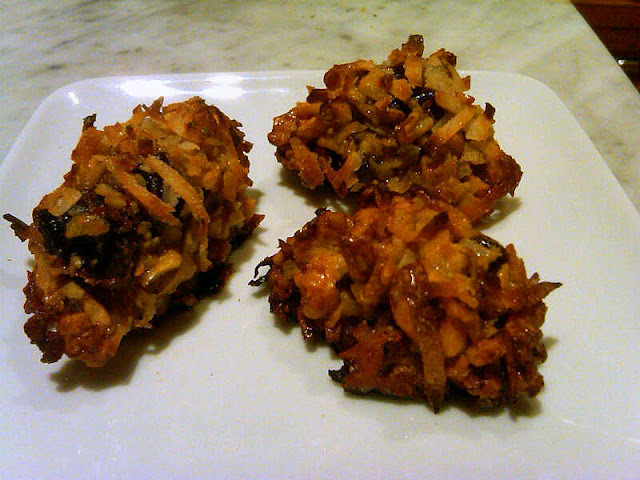 Passover Woodchucks are another addicting treat you won't find on everyone else's table. 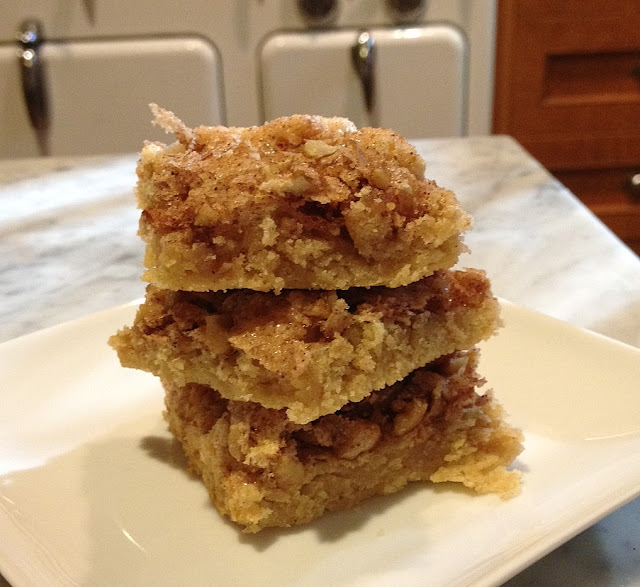 No need to wait for the holidays because walnuts, dates, sugar and coconut are always in season. Cake made the list because this basic (and delicious) yellow cake is the building block of all manner of desserts, from Boston Cream Pie to upside down cake (pictured here) to coffee cake. It's like the little black dress of the kitchen and who doesn't want one of those? Grandma Jean's Challah is very good, though there are many richer challah recipes around. I like the bread, but I love the serendipity of its discovery even more. There are two kinds of people: those who will do back flips to "use up" leftovers in the refrigerator and those who will think about it for a moment, then surreptitiously toss out the item(s) in question, feeling guilt and relief simultaneously. Cookbook author Jane Brody, who clearly falls into the former category, once created a new bread recipe to use up the half-can of leftover tomato juice about to go bad in her refrigerator. While I admire such resourcefulness, I too often toss rather than use. However, when I found myself with a large bag of gorgeous Meyer lemons recently, I was determined to put them to good use. 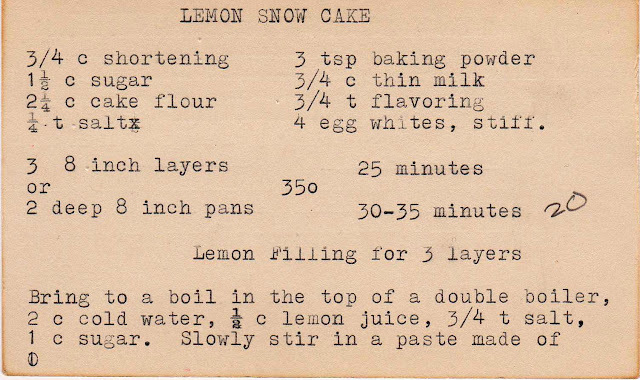 And so, I made lemon snow cake from a vintage recipe card. 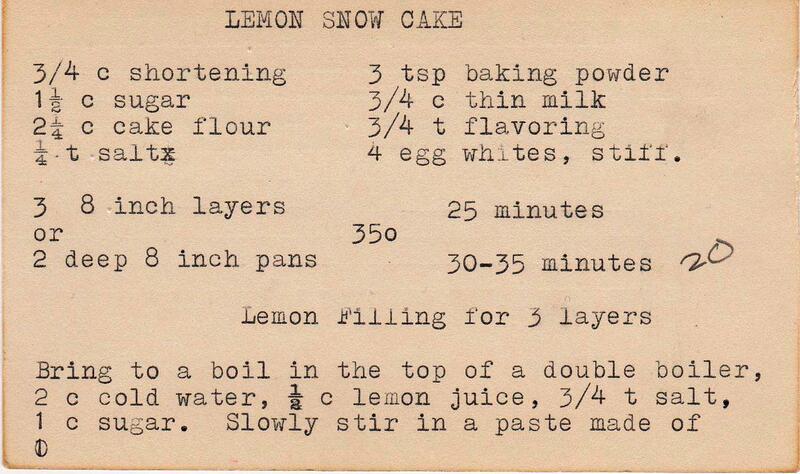 The "snow" of the name refers to the cake; there's nothing lemony about it -- it's a standard white cake (unless you choose lemon extract as the flavoring agent; I opted for vanilla). The "lemon" is contributed by the frosting and filling. It's a delicious, old-fashioned cake, but it must be served in situ. It cannot be moved much further than your kitchen counter, for the layers will start slip sliding away with too much motion. Still, not such a bad thing to have a cake calling your name from such a close distance. Make the cake layers first. Cream the shortening (butter), sugar and eggs in a bowl. 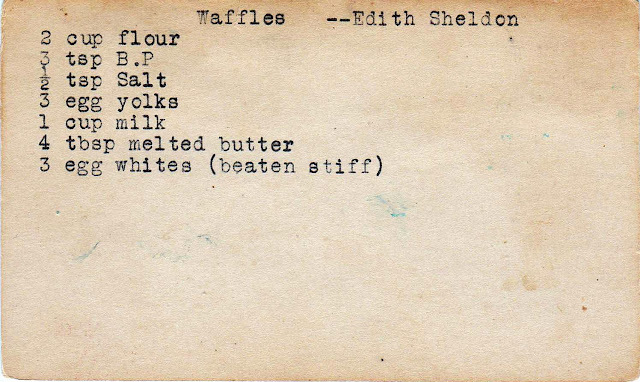 Meantime, mix the dry ingredients and add then alternately with the milk, starting and ending with the dry ingredients. Whip the egg whites until stiff but not dry. Add a bit of cream of tartar to the whites to prevent overbeating. Spoon the batter into the greased and floured cake pans, using a spatula to spread the rather stiff batter to the edges. Bake just 20 minutes (not the 30 called for in the recipe). While the cake layers are baking, begin the filling by zesting and juicing the lemons. Begin cooking the mixture in the top of a double boiler (or simply put a bowl on top of a saucepan filled with water). 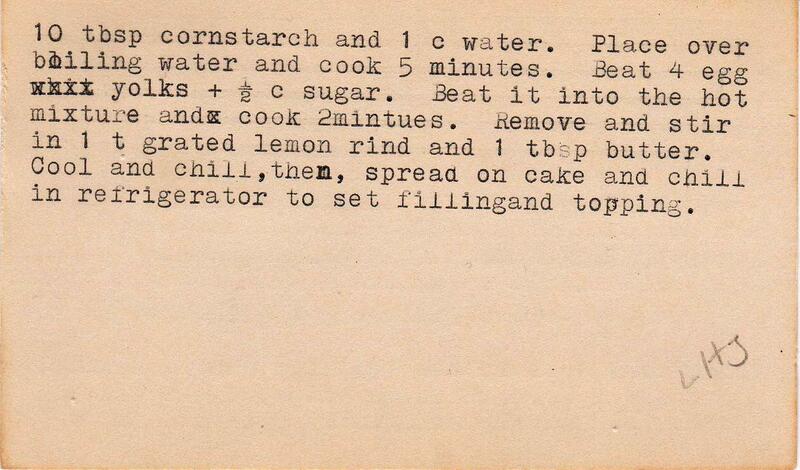 Unlike modern-day lemon curds, this calls for cornstarch. 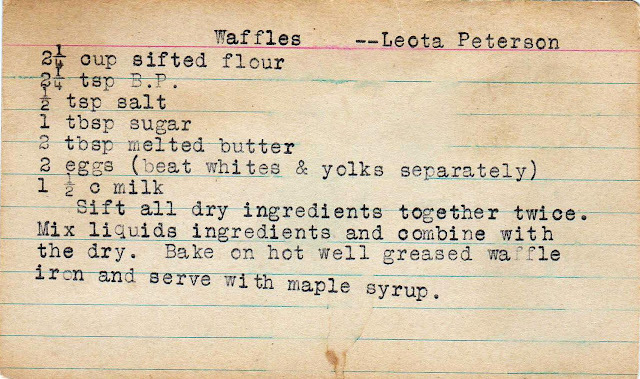 If making this again, I might substitute a lemon curd from Martha Stewart for this more old-fashioned version. After the filling has cooled in the refrigerator, spread it between layers and on top. I found this recipe in a box I purchased last year on eBay. The box had the Ladies Home Journal magazine logo on it, and was the perfect spot for a c. 1940s housewives to keep her cards in good order.